Robert Kiyosaki is best known for his book, ‘Rich Dad Poor Dad’, which is a hot pick for all the aspiring entrepreneurs and achievers. Leading an inspiring life, Kiyosaki has excelled himself in many roles such as an entrepreneur, author, investor, motivational speaker, financial knowledge expert and more. A Japanese American born in Hawaii, Kiyosaki started his early ventures in the mid 70’s. Bitter failures and short-lived achievements followed for almost two decades until he started being successful in the late 1990’s. Cashflow Technologies Inc., Kiyosaki’s winning venture, owns two brands, namely Cashflow and Rich Dad. 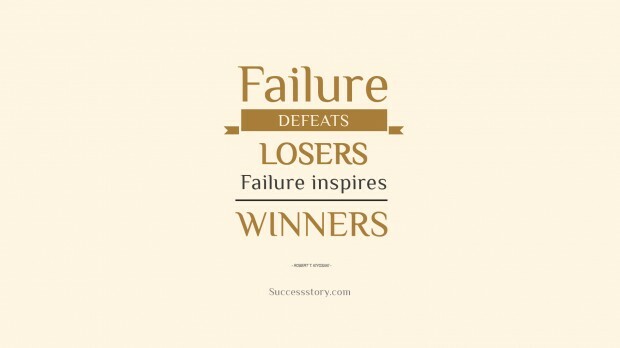 "Failure defeats losers failure inspires winners"